Thank you for your interest in shipping our babies!! We have several options available and we will do our best to help you have a positive shipping experience. Shipping arrangements take quite some time and we require that individual hedgehog selections are made within two weeks of the shipping date. There will be a $20.00 boarding fee per week for hedgehogs that are reserved and not transported within the two week time frame. We believe it is important for baby hedgehogs to go to a new home as soon as possible. There will be no substitutions or changes after the two week limit. We only ship Premier Plan hedgehogs via airline or delivery service because this plan offers the benefits required for the detailed process. We offer delivery services to our scheduled “On the Road” events where we meet several of our customers in one area. Please visit our Upcoming Events for more information about our scheduled events. We hold specific animals for delivery and/or pick-up for two weeks without additional charge. Our On the Road FAQ is an additional source of information. 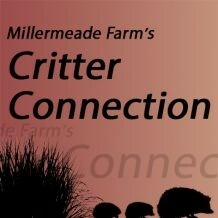 Please contact us if you would like to host a Millermeade Farms “On the Road” event. Review our Upcoming Events page for more information about our scheduled events. Be sure to indicate in the notes section where and when you will meet us if the exact time and location is not an option in our calendar. We will bring your hedgehog as well as one additional hedgehog for you to see if by chance the one you selected is not a good match for you. We have had great success using the website service www.uship.com You will be responsible for arranging this type of transportation as you will need to review and accept bids from the transportation services. You will need to include our address: 909 S Platt St, Montpelier, OH 43543 and that we will ship using a small cat carrier (unless multiple hedgehogs are involved). *You will pay for the cost of the delivery service directly to the transporter, prior to pick up of the hedgehog. Once you place your deposit on a baby we will send you a video of us handling your baby via text. This may take a day or two depending on our work schedule at the farm. If for some reason, you do not like the video of your baby, you will be able to choose another hedgehog. Shipping animals is something that delivery services typically do every day. However, accidents happen and animals may perish either during the transportation due to circumstances out of our control. Millermeade Farms is not responsible for the health of your animal beyond our standard health guarantee. At Millermeade Farms we take great pride in the health and well being of our animals. Please request that your delivery service inspect your hedgehog before taking possession of your hedgehog. We will show the person who picks up your hedgehog the temperament and health of your hedgehog. We will be happy to obtain a Veterinary Health Certificate for your animal for $60.00. We need at least ONE-week notice in order to have time to schedule and obtain the certificate. We suggest finding out your delivery service’s policy on guaranteed healthy delivery. Many of our customers live a considerable distance from our farm. We are frequently asked to meet our customers “half way” or someplace other than our farm or scheduled event. Unfortunately, this is a service we cannot provide free of charge. In order to best meet the needs of our family, animals, and all of our customers our limited time and resources are needed at our farm and special events. Another important reason we do not like to meet customers in parking lots or other random locations is that there is little opportunity for us to provide the care and handling information and demonstrations. We firmly believe proper care and handling skills are critical to getting new pet owners off to the best start possible with their new pet. There are some individuals that need personal delivery. Hourly rates of $15.00 per hour away from the farm and the IRS tax rate for milage are additional charges to the price of the hedgehog and supplies. You will are required to pay in full once arrangements are made. There will be NO REFUNDS after the final payment is made prior to delivery or once the hedgehog is delivered. Visiting the farm is much more cost effective for you and we believe you will have a better educational experience and handling learning opportunities in our hedgehog shop.